Unless you're using a jailbroken iPhone or are working at one of the companies concerned, it's unlikely your Apple handset is home to a Google Voice application, but what's the latest on an official version of the app? That question is proving almost impossible to answer after a public row intensified this weekend between Google and Apple over an application to give iPhone users access to the Google Voice service. 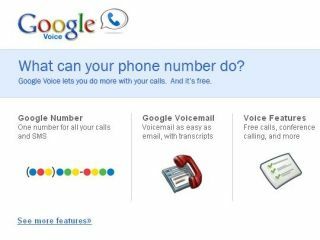 The US Federal Communications Commission had previously reported that Apple was "still pondering" making a Google Voice app available through iTunes, which seemed to indicate a waiting game was in order. However, that drew Google's ire, prompting it to ask the FCC to make its investigations fully public in a bid to get to the truth of the matter. Hence, a letter published on Friday that seems to show Apple has already rejected a Google Voice application out of hand on the grounds of it clashing with the iPhone's own calling services. The letter, from Google to the FCC, reveals that Apple's senior vice president, Phil Schiller, told the search giant in July that a request to distribute a Google Voice app through iTunes had been rejected. It goes on to say that "Apple believed the application duplicated the core functionality of the... iPhone [dialler]" and that "Apple representatives indicated that the company did not want applications that could potentially replace such functionality." So, someone's being economical with the truth, but who to believe? Alas for anyone not wanting to jailbreak and run unofficial alternatives like GV Mobile, we still don't know. The latest response from Apple? A spokesperson told Reuters: "We do not agree with all of the statements made by Google in their FCC letter. Apple has not rejected the Google Voice application and we continue to discuss it with Google."